It’s time to bring aboard an entirely new generation of consumers! Yes, “Generation Z”, the successors of the Millennials, will puzzle and disrupt the marketplace in entirely novel and unprecedented ways. Orman Guidance devoted the first three months of 2016 just scratching the surface of the behaviors and perspectives of Gen Z – the cohort born after the Millennial generation. 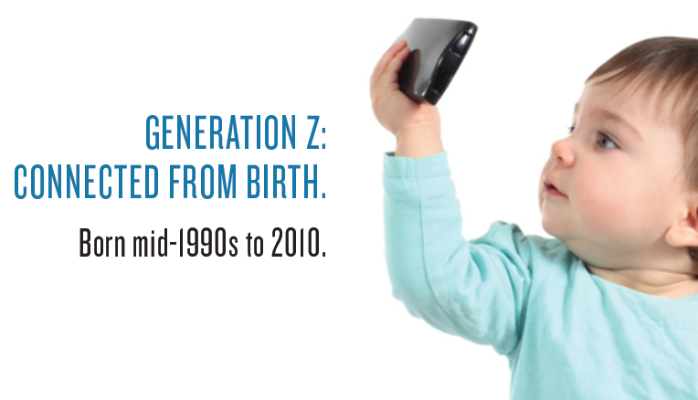 Gen Z is generally defined as those born between 1995 and the present day. We set out to investigate who they are and what makes them unique. What do we already know about Gen Z? The Great Recession had profound impacts on their worldview. Gen Z is the most ethnically diverse generation in U.S. history. More than a quarter of America’s population currently belongs to Gen Z. By 2020, Generation Z will account for 40% of all consumers. What are the stereotypes of Gen Z? From iPads to smartphones, they’re addicted to their screens. The celebrities they idolize aren’t in Hollywood: They’re on YouTube and Instagram. They talk to their friends over social media more than in person. While more educated than most generations before them, it’s said that Gen Z lacks concrete skills needed in the workforce. Excitingly profound qualitative feedback from our primary investigation of students at the University of Minnesota reveals the CONSCIOUS FEVER of Gen Zers. We shall not label it an epidemic, but an age-old trend is reappearing. Our newest segment of buyers is rationalizing the purchase process by applying more negative consequence on companies that fail to be socially responsible. Does Gen Z imagine a compassionate economy where food products are more likely to display “Fairtrade Certified”, “USDA Organic”, “Grass Fed”, or “Made Local” labels? Is this trend mirrored in other industries? So far, research tells us Yes. As natives of the Digital Age, Gen Z seeks the authentic and ignores anything with a hint of fakeness. They’re immune to marketing gimmicks and ready to take down Uncle Sam at the faintest inclination of suspect corporate behavior. A tweet turns into a meme – a meme turns into a national news headline – and a company is wondering what just happened with a Q4 loss of $15 million. There’s a lot more Orman Guidance wants to learn, and the pursuit of Gen Z marketing intelligence is the logical next step for any company that markets to this group – partnerships with unique groups are being sought and we want more research for validation. Every generation has their own defining features and characteristics, and we’re excited to conduct further engagement with Gen Z. Want to learn more about Gen Z? Orman Guidance is passionate about engagement with Gen Z and what it means to your business. To continue the conversation, call 952-831-4911, or, if you’re ready for Gen Z Research & Guidance, request a quote and we will together uncover insights that live beyond the data. Thanks for reading!